Hedge-fund darling Valeant got eviscerated by a short seller over its accounting practices, including some just-revealed “specialty pharmacies” it allegedly used to inflate revenues. The company is denying the allegations. But now everyone has started digging. This comes on top of the interest Congress is finally showing in the rampant price increases of generic drugs. It has become a business model in the US: Hedge-fund like companies such as Valeant plow into the health-care sector with huge amounts of other people’s money and gobble up makers of generic drugs. After the buyout, they jack up prices. They can because there are no competitors, and regulators stay dutifully out of sight. Valeant’s shares have plunged 56% in less than three months. Its bonds and leveraged loans have sold off sharply. The junk-rated, over-indebted company is going to have a hard time borrowing cheaply to continue its buyout spree. Regulators – asleep, powerless, or just totally compromised by the revolving door, pharma lobbyists, and regulatory capture – allow or encourage industry abuse of regulations and patent laws. This leaves the industry rife with unregulated monopolistic structures. So health-care expenses are eating up 17.4% of the US economy, or they’re generating 17.4% of GDP, the highest proportion in the world. Whichever way you look at it, this portion of GDP comes out of your pocket directly or indirectly, one way or the other. But life expectancy in the US is only 78.8 years, three years less than Canadians’ whose health-care system is vilified in the US. According to the World Health Organization, the US is in 37th place, between Qatar and Barbados and only a rounding error ahead of Cuba. You’re not paying for extending your life expectancy. You’re paying for the health-care industry’s soaring revenues and profits. In 2015, the health-care sector in the S&P 500 will likely see revenues soar by 8.3% and earnings by 11.3%, according to FactSet, even as all S&P 500 companies combined will have zero earnings growth and suffer revenue declines for the fourth quarter in a row. But don’t blame Obamacare – this has been going on for decades. With regulators and Congress compromised by the health-care sector, which has become so big that no one wants to take it on, who is left to crack down on the abuse? They couldn’t care less about life expectancy or what is bankrupting Americans. They’re driven by the profit motive. They’re trying to figure out how to make money from cracking open industry secrets, peeling away covers, digging for deceit, exposing lurid details, or challenging patents in court. Short-sellers are despised and maligned. Governments barely tolerate them. And when markets head south, governments don’t even tolerate them: they limit short selling, as they did during the Financial Crisis, or they threaten short-sellers with arrest, as in China recently. Their risk-reward relationship is totally out of whack: they have a maximum potential gain of 100% if the stock goes to zero but an infinite potential loss that could take down the firm. And they’re trying to do all this in an era when central banks are hell-bent on inflating stocks and bonds. In that hyper-liquid environment, even the worst sinners can get a boost and new money, with terrifying results for short sellers. It’s a thankless way of trying to make a buck. In Valeant’s case, it was Citron Research, run by a short-seller. After the report, “Valeant: Could this be the Pharmaceutical Enron?” became public, Valeant’s already swooning shares crashed another 30%. It woke up the media, and now reporters are sniffing around as well. Then there’s the Coalition for Affordable Drugs’ (CAD), a group of hedge funds formed by Kyle Bass. The goal is to make money by shorting pharmaceutical companies and then challenging their “BS patents,” as Bass had put it so eloquently, with the goal of invalidating the patents. A patent law change in 2012 established new procedures to challenge patents, including by third parties, such as hedge funds. A patent gives the drugmaker a legal monopoly for a specific period of time. Then the free market is supposed to take over with generics and bring down prices. But these patents have become rubbery, and their anti-competitive protections are stretched by hook or crook to absurd length and directions. This keeps generics off the market. And Americans are paying out of their nose for these drugs. In a letter to the House Judiciary Committee in April, commenting on a congressional proposal to change the rules for patent litigation, Bass said that some pharmaceutical companies “have engaged in abusive practices by acquiring and enforcing weak patents,” according to Bloomberg. “A small number of monopolistic drug franchises that have gone unchecked have become our special focus,” he said. CAD is challenging a number of patents. But taking on Big Pharma isn’t easy. CAD’s first three efforts didn’t go anywhere. But in September, there was a tepid sign of success in his case against Celgene. And on October 7, in CAD’s case against Cosmo Technologies, the Patent Trial and Appeal Board (PTAB), actually allowed the patent review to move forward. The first sort-of victory. If these “BS patents” are invalidated, generic drugmakers could enter the fray with cheaper versions. CAD would benefit from the hit to the shares of the targeted companies. Consumers, taxpayers, and insurance companies would benefit from cheaper alternatives. In Valeant’s case, investors would benefit from a crackdown on allegedly dubious accounting practices. The losers: targeted drugmakers and the Wall Street hype machine. It’s not without irony that profit-motivated short-sellers end up on the same side as consumers, taxpayers, and investors who don’t want to be deceived. Ironic isn’t it that Kyle Bass is a shareholder of Valeant. Yes, exactly. Hedge-fund darling Valeant has bloodied a lot of hedge funds. I am pretty sure the upcoming train wreck would pretty much ruin everyone, smart or not. I’m a short seller (sadly) and I don’t know if you could call me getting back some of the money I used selling stocks short in 2010 as lowering the boom, but I am no longer thinking about jumping of the Golden Gate Bridge. The link below leads to the pair I believe will, as they say, sooner or later lower the boom on all of us. 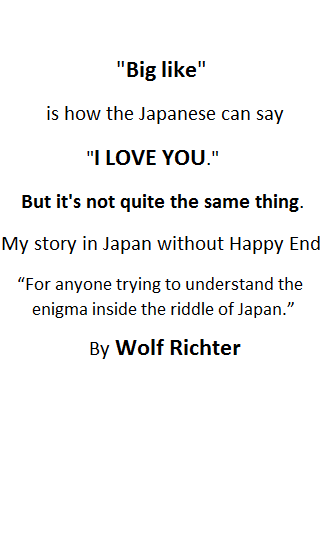 Thanks for your on going efforts, Mr. Richter. Should check out Mr. Entropy sometime. Makes cannibalism look like a vacation in southern France. The whole medical industrial complex is shot thru and thru with complicit corrupt individuals. The pharmaceutical industry has led the way, such that doctors and medical administrators and professionals, including the private insurance company’s are compelled to cave in or look the other way. One such prevaricator is now at work with perrigo company, a major employer in my county. Left unexposed, I anticipate the demise and loss of many hundreds of jobs. The company supplies many dozens of over the counter drugs nationally, and of course some are and have been proven lethal, of which the public is ignorant. Valeant’s case rest at the moment on one thing only: whether or not the US Government will initiate a full scale investigation into the firm and its workings. It’s one thing to report crummy sales, disappointing profits and ever increasing leverage ratios and quite another to attract the attention of Federal authorities so close to what promises to be a hotly contested Presidential election and in such a politically sensitive area as healthcare. Even the “buy the dip” crowd learned long ago when the US Government intervenes you’d better take a step or two back if you don’t want to get burned. Of course if nothing comes out of the probes, Valeant will shoot back into the orbit faster than a Vostok rocket. But if Federal authorities find something, anything, to build a case against Valeant they’ll literally tear it to pieces. This uncertainty is what is giving short sellers a brief vacation from pain. I also wouldn’t rule out another stock market darling to go through something similar. Just last week Consumer Report removed from its website the suspiciously glowing Tesla endorsement that was used as one of the prime movers in selling this car (not to mention the company stocks) as the best ever made. In its place is a not so rosy owner survey indicating the car may be very good when brand new but deteriorates quickly, not unlike a Mercedes-Benz or a BMW costing similar money. Tesla is often likened to Apple because of similar extreme stock valuations but there’s a crucial difference between the two brands: Apple literally dominates the smartphone and tablet markets while Tesla is not exactly Toyota when it comes to sales numbers, not to mention Toyota sells all sorts of cars, from Daihatsu-branded kei cars to Lexus luxury sedans while Tesla is pretty much a one product company. Not to mention Apple turns a profit while Tesla has been literally burning through investors’ cash. Another short opportunity? Only time will tell.